I do not have any knowledge on whether these tools are for wood or metal. The second tool can be winded and unwinded in order to form some kind of tooth bite like shape to a material. Many thanks on the feedback. The top tools appear to be dies - used for cutting screw threads on rods. The lower tool appears to be a tap wrench (a tap is a tool a little like a drill bit, but used for cutting threads inside a hole). The "winding and unwinding" action is to allow it to clamp to the tap; the wrench is then used to turn the tap in the hole. 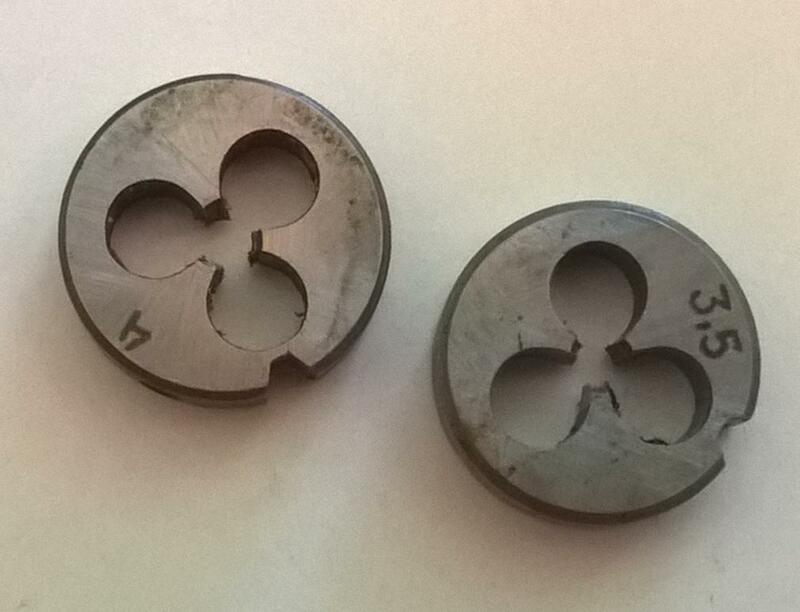 The dies would also have had a wrench or handle with which to grip and turn them around the workpiece. They are for use on metal. See Wikipedia- Tap and die for more detail. Not the answer you're looking for? Browse other questions tagged tools hand-tools or ask your own question. Are there any serious dangers to using manual tools? How might a person of limited strength pry embedded lumber out of soil? How do I tighten an out-of-reach PVC pipe fitting?